Panerai continues its run of smaller timepieces with the Radiomir 1940 3 Days Automatic Acciaio 42mm PAM655, a preview of what’s to be officially unveiled at SIHH 2016. 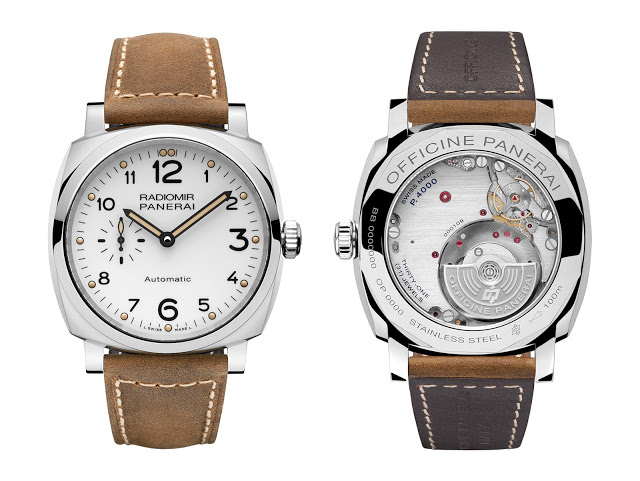 Just months after the hand-wound Radiomir 1940 3 Days 42mm was introduced at Watches&Wonders 2015, Panerai has unveiled another smallish watch, the Radiomir 1940 3 Days Automatic Acciaio PAM00655, featuring a white dial with ivory Super-Luminova. Powered by the P.4000 micro-rotor movement, the new PAM655 is more evidence that the balance is tilting in favour of small watches, even for brands that specialise in oversized timepieces. 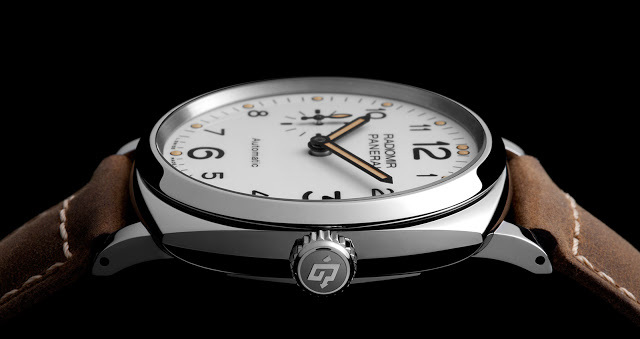 The Radiomir 1940 3 Days PAM655 is 42mm in diameter, currently the smallest case size Panerai mixed. Essentially identical to the black dial Radiomir 1940 PAM620 launched earlier this year, the new PAM655 is distinguished by its white dial. 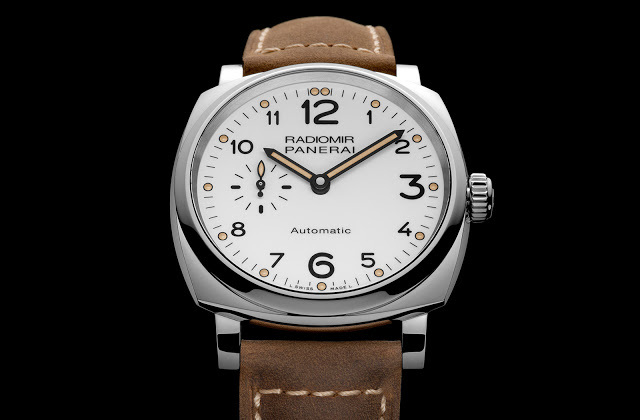 The look is typical for the Radiomir 1940: a polished steel case without crown lock mechanism and baton hands. The dial has Arabic hour numerals and ivory Super-Luminova to mimic the look of a vintage watch. The tan leather strap matches the colour of the Super-Luminova. The movement inside is the P.4000, a self-winding calibre with a tungsten micro-rotor. Relatively slim at 3.95mm high, the calibre has twin barrels, giving it a three day power reserve. Pricing has yet to be announced, but expect it to be about US$10,000.